TC Electronic is constantly blowing my mind. I’ve messed around with a few loopers in my time (Boss RC-3, Boss RC-30, Line DL4, Empress Super Delay, Boomerang, etc). Last year TC Electronic came out with the Ditto Looper – a very small compact unit that is extremely easy to use. I’ve been keeping an eye on that pedal – itchin’ to buy it, and now TC Electronic just announced the Ditto X2 Looper this month. Ugh, now I have to think things out again. The TC Electronic Ditto X2 Looper is not as compact as the Ditto Looper, but since they added the added some new features.. enclosure size had to accommodate. One of the features of the original Ditto that I was not to excited about is the double tap to stop button. That’s the biggest reason why I moved away from the Boss RC-3 (even though you can attach a tap tempo to include additional functionality – like a single tap stop). The Ditto X2 still has the double tap stop, but with the second footswitch, you can assign that to be single stop switch. That switch (if not used as a single stop) can also contain effects – reverse and 1/2 speed, which is pretty cool. Most real time loopers do not allow you to store loops. Basically, you create it in real time, once powered down, it’s over. In a lot of ways this makes the looping experience interesting for me, but having stored loops can be cool depending on the requirements/application. The Ditto X2 via USB can allow you to store external loops as well as saving played loops. Pretty cool. This is an optional feature, so if you don’t care about storing.. you don’t have to. TC Electronic even took things further with looper musicians. They’ve identified that man musicians fall into one of two camps in regards to the loop cycle. TC Electronic gives you the ability to select which mode you prefer. This is done with a dip switch inside the battery compartment. The pedal is true bypass and includes stereo in and stereo out. Ambient nerds.. this is a plus. Check out this video that fully shows what the TC Electronic Ditto X2 is all about. When can you get one? How much will it cost? I’m right there with ya. No idea as of right now. I’m sure it will be available soon. 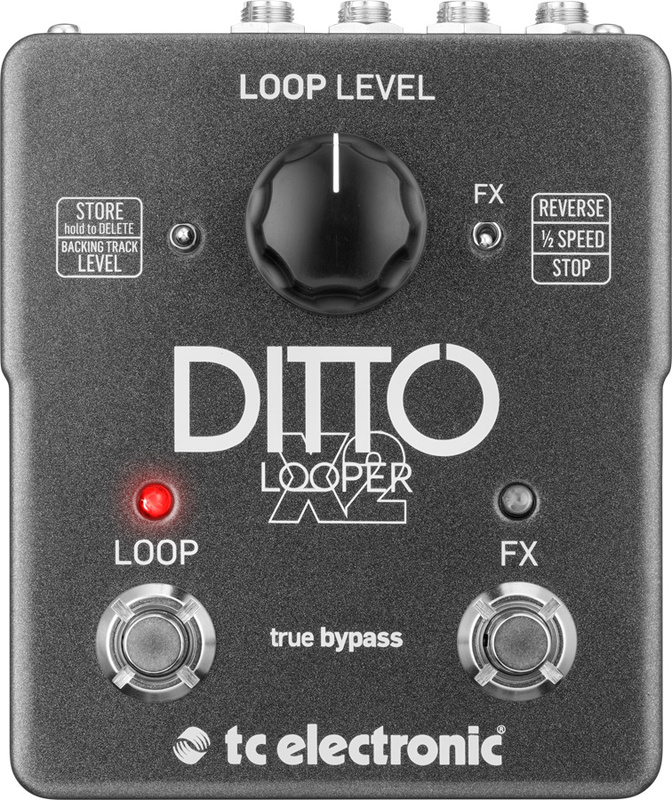 The classic TC Electronic Ditto Looper can be had for under $100. This pedal could be double the cost… who knows. According to numerous sources, all quoting a TC Electronic press release, Ditto Looper X2 will be available in stores from March 1 and will cost $179.99 (suggested US retail). Should be available around the beginning of March. It’ll retail for $179.99. Looks very cool. One flaw in the Ditto was that the loop plays for a couple of seconds before clearing the loop. The new Digitech Jam Man Express XT has found a solution to this and can clear silently. I wonder if the Ditto X2 has fixed this…..